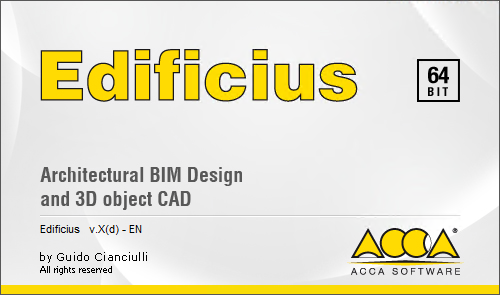 Edificius is an advanced BIM application with powerful and innovative design tools. The software is updated regularly to comply with the latest regulations and to be in line with the most recent technologies including a Real Time rendering engine that seamlessly integrates with other features such as 3D design, cost estimating, and others. Apart from that, the application provides you with terrain and landscaping design tools together with access to a BIM resources, 3D Models and textures. Architecture and interior design : Edificius allows you to deal with the design of all types buildings with great simplicity and speed. You can complete and enrich the project with furniture and environment characterization that you can download for free directly from the Online BIM Objects Library. From simple object oriented modelling you automatically get all the relevant project drawings. Garden and landscape design : Edificius is the simple and effective tool for integrating architecture and landscape design. Projects gardens, parks, landscape and outdoor spaces with easy-to-use tools for drawing walls, pools, fences, flowerbeds, courtyards and many other landscaping related objects. Get detailed floor plans, complete them with legends and customize them freely ready for export in the DXF, DWG and PDF formats. MEP systems modeling : Edificius allows you to model the building’s technical installations while defining the architectural model, get an overview of the building-plant system, evaluate spatial coherence of the plant system networks in order to avoid that they interfere with room functionalities or aesthetics. Remodellings and renovation projects : Edificius offers a dedicated environment for addressing building remodellings and work variations. In a single environment, manage two BIM models (the surveyed stage and design stage) and automatically produce a comparative table and the relating cost estimate of the planned interventions. Terrain modelling : Edificius offers a specific working environment for terrain modeling, ideal for construction, urban planning and landscape design work. Easily acquire DWG and DXF land survey files with typical contour line or contour plan data, from raster images or directly from Google Maps® satellite imagery; simulate earthwork operations by comparing the various solutions (design levels) and even get dynamically updated bill of quantities and volume data; integrate the model with landscaping details: trees, bushes, plants, roads, yards, furniture, etc. 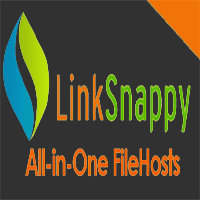 Automatic rendering, photo editing, scene photo montages. Edificius gives you all the tools to present your projects with great visual impact: automatic and visually stunning renderings (photorealistic renderings, transparent backgrounds, magic render, clay renders, etc.) Photo editing, m scene photo-montages, video, animations. Real Time Rendering and BIM: photorealistic renderings in real time. Edificius integrates Real Time Rendering and BIM to produce photorealistic renderings of architecture in real time, while continuing to use the BIM modelling environment. Model and check the results of your design choices in real time. With Edificius, produce and share full immersive 360° pano images from the Real-Time rendering environment to Facebook. Try the first BIM software integrated with real-time rendering to assess your design choices in real time, the first BIM that even allows you to create highly immersive 3D video for architectural visualizations, an advanced BIM Design solution for integrating architectural design, structural analysis and cost estimating, in a simple, innovative, professional and much more convenient solution. Plz Can you get PriMus IFC is the bim quantity software ?